For $50 and a lifelong commitment, you can legally change your identity! Often part of the Newlywed Checklist for the new wife is changing her name. After the wedding, be sure to send the marriage license to the court clerk or wherever your license is to be stored for official state records. In some states, unfilled marriage licenses expire after a certain number of days. 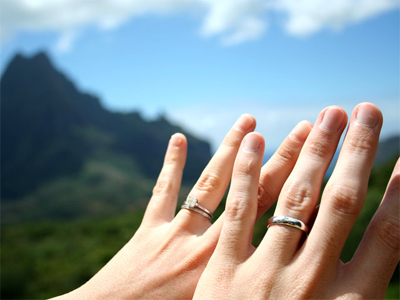 Once you return, obtain 2-4 certified copies of the signed marriage license as proof of your new status as married. This will also enable you to change your name. In some states, the wife’s new name is listed on the marriage license, but in many states it is only the wife’s birth name which is required. It’s not until you start filling out paperwork that you have to decide what you want your new name to be. I don’t know how it works in every Social Security office, but at the one in my town, all I needed was the official marriage license with the county clerk’s seal and a completed application form (form SS-5, which I filled out in the Social Security office). The only information on the application form that could not be gathered from the marriage license was my Social Security Number and place of birth (as well as the fact that I am a US citizen). I also changed my address on the form, since I moved after the wedding. At the window, no one asked for any additional form of ID, though the paperwork listed acceptable forms of ID for turning in the change of name form, and the woman at the desk asked what I wanted my new name to be. Apparently getting married gives one a free pass of sorts (an event which allows a name change without the hassle of going through a court process)—I wonder whether I could have told her my new name was “Hillary Rodham Clinton” if I wanted? Perhaps I ought to write to my Congressman or Governor requesting that Social Security offices tighten up on name changes. I would hate to think that someone could have walked into the office after buying a certified copy of my marriage license and changed my name without my knowledge. While we are on the subject of social security, you should also go to the administration’s website and create an online account, since the SSA is going paperless. David Marotta has written about the process and why you should make an account now. For part of the confirmation process, you may need to enter credit card info, which may be difficult if the name on your credit card does not match the name on your Social Security card. So you may need to save this part for later. It is important though, to change your name at the Social Security office near the beginning of the name-change process, as your social security number is used by the IRS and the number looked up by the DMV, your employer, and financial institutions when you change important information (such as your name). Next time we’ll look at step two.